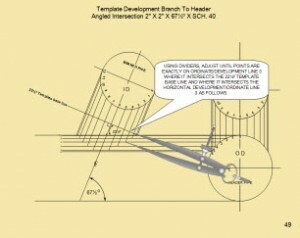 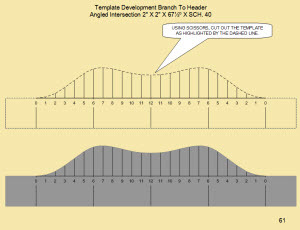 The FabEasy angled branch template module is a step-by-step guide to the development of piping templates and piping fabrication for swept branch intersections. 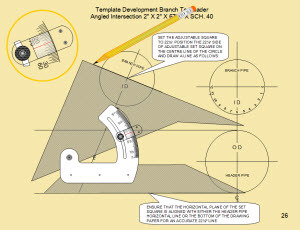 This powerful but easy to use animated training module uses six ordinate or development lines to achieve a high standard of accuracy in template creation. 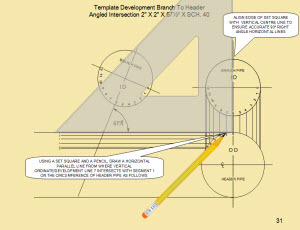 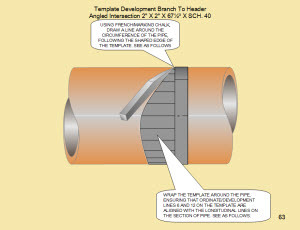 use a completed 67½ degree template to mark-out branch cut line on pipe Watch this trailer to get a flavour of how Fabeasy will help you to create and use a pipe template for an angled branch intersection.